An Afghan rebel leader, opposed to the government in Kabul, has warned that a holy war would be stepped up against international troops based in Afghanistan. Gulbuddin Hekmatyar, a former Mujahideen leader, issued the threat in a message distributed among his supporters in Pakistan. The BBC's Ian McWilliam says the message is part of Mr Hekmatyar's latest moves to win back support for himself. He fled into exile in Iran when the Taleban came to power, but is now said to have returned to rebuild a powerbase in his native country. Mr Hekmatyar's message has been distributed among his followers in the conservative tribal lands on the border between Pakistan and eastern Afghanistan. "Hezb-e-Islami [his forces] will fight our jihad until foreign troops are gone from Afghanistan and Afghans have set up an Islamic government," the message said. Mr Hekmatyar said his friends were the same Mujahideen who were fighting against the Americans - "We are together," the message read. American forces have been continuing to search for remnants of the Taleban and al-Qaeda in eastern Afghanistan, and a 5,000- man international force is ensuring security in Kabul to support the government of President Hamid Karzai. There have been repeated attacks against US soldiers in eastern Afghanistan - one American soldier was killed there after a firefight last week. 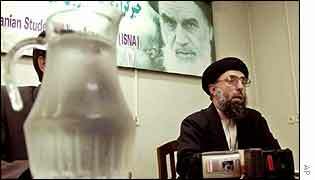 Iran asked Mr Hekmatyar to leave Tehran when the United States launched its war on terrorism and his exact wherabouts are currently unknown. The United States considers Mr Hekmatyar a further destabilising element in Afghanistan's still fragile peace, our correspondent says. But it is not clear how many fighters actually support him now. Many observers are sceptical that he will be able to re-establish his position in Afghanistan, our correspondent says.